DConceptHomes specializes in kitchen remodeling in Roswell, GA and surrounding areas. We want every room that we remodel to look like a showcase. For a quarter of a century, we have helped bring our clients’ visions to fruition throughout Roswell, Alpharetta, Buckhead, Brookhaven, Sandy Springs, Midtown and the entire metro Atlanta area. We understand that the kitchen is often the heart of a home, and we put our skilled craftsmanship to work so that you can enjoy this important space with your family for years to come. Our kitchen remodeling and design projects begin with completing an inspection of your space and learning about your budget. We then source your kitchen cabinets and other supplies, including flooring choices, lighting, tile, backsplash and appliances. 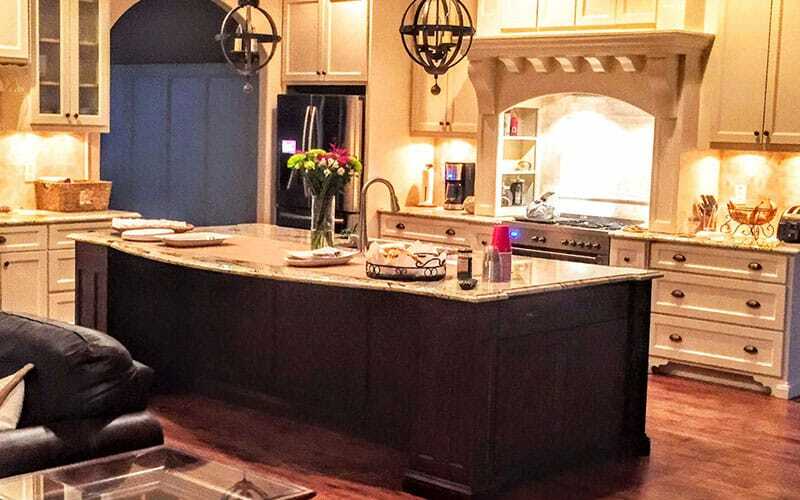 With our many connections throughout the state of Georgia and an eye on modern kitchen design trends, as well as traditional styles, we can offer personalized recommendations based on your budget, style and vision. We'll custom design new kitchen cabinets and our services also incude painting and staining options if you like your existing cabinets but simply want to update them. DConceptHomes can update every part of your kitchen, make electrical repairs, install new countertops – or update just one problem area in your space if you envision a smaller remodel. Either way, we will talk through your ideas and budget to ensure that we exceed your expectations with our quality of work and our attention to detail. Our experienced kitchen remodeling contractors know that kitchens and bathrooms are often the most important rooms in the home. A good remodeling job can often increase the value of your home substantially. A remodel to these rooms can also make your home more livable and enjoyable. We can help your kitchen and bathroom flow together by mirroring some of the same building supplies, such as keeping the same granite countertops throughout both spaces. We can also install the same or a coordinating style of tile backsplash to make your bath remodel and kitchen remodel flow together seamlessly. Not all kitchen remodeling companies are built the same. It is important that you work with professional remodeling contractors who have developed a strong reputation in the community for their quality and workmanship. At DConceptHomes, we have provided quality work to clients throughout Roswell, metro Atlanta and surrounding areas for over 25 years. We stand behind our work and strive to exceed expectations with every customer. It is also important to work with kitchen remodeling contractors who are familiar with traditional designs as well as stay up-to-date on the latest trends. We will discuss concepts with you and bring your ideas to life. No matter what your budget, our company will help you brainstorm ideas on how to improve the function and style of your kitchen and bath – all while staying within the agreed timeline. Ready To Start Your Next Kitchen Remodeling Project? If you need kitchen remodeling in Roswell, GA contact us today to talk to a professional kitchen remodeling contractor. DConcept homes is proud to design kitchens and baths in Roswell, Alpharetta, Buckhead, Brookhaven, Sandy Springs, Midtown and the entire metro Atlanta area.